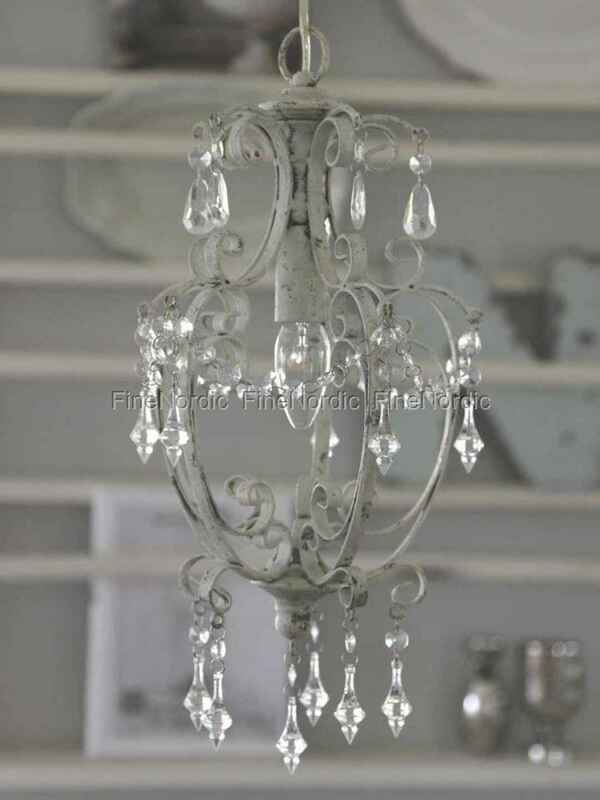 The Chic Antique chandelier with prisms in antique white provides a romantic look in the room. The stylish form and the glittering prisms make it a real eye-catcher. It requires up to a 60 W light bulb, which is not included. The Chic Antique chandelier fits perfectly into modern and classic interior design styles and is a must-have for the romantic lover. The slightly chipped areas and bumps are intentional and add to the charm of the chandelier. Beautiful, I'm very happy with the goods.